"You think you have it all figured out, Max, but this isn't your game anymore." Max Weston knows that life is a game: Turn on the charm, say what people want to hear, and whatever you want is yours for the taking. What do a few lies matter if everyone ends up happy? His best friend, Davey, can't look a cute girl in the eye and barely scrapes by in school, so yeah, Max hassles him sometimes. 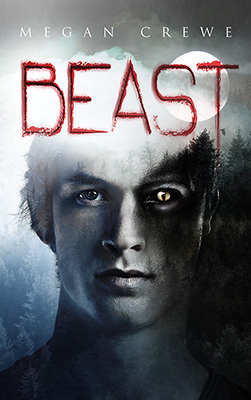 But he always has the guy's back—even when a strange beast attacks Davey in the woods. As Davey heals, something awakens inside him. Something with razor-sharp teeth, vicious reflexes, and no patience for Max's ploys. Suddenly Davey is challenging Max, getting smarter, stronger, faster—and harder to control. Max plunges into a series of schemes to save his friend, but with each move he makes, Davey lashes back twice as hard. The monster inside him is calling the shots now, and the game it wants to play has deadly consequences for everyone Max loves. If Max forfeits, he's giving up on his best friend. But winning might mean losing even more.